Large updated one bedroom with Prime West End location at The Hampstead! This suite features an open concept floor plan which can accommodate house sized furniture, new laminate floors, new appliances including front loading washer/dryer and a beautiful outlook onto a tree lined street with a large covered patio to be used year round. The Floor plan is very efficient and spacious, master bedroom has a cheater ensuite and his/her closets, living room features a cozy gas fireplace. 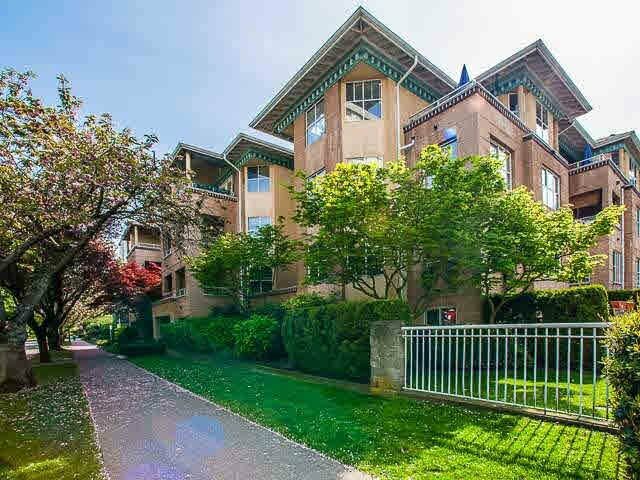 The location is ideal being steps away to groceries, amenities, coffee shops & restaurants, English Bay & the seawall, and the best that Denman and Davie have to offer. The home is bright & airy, has in suite storage, w/1 parking &storage locker.